At Alliance Bail Bonds we pride ourselves on our level of service based on many years of experience. We set ourselves apart by providing the most professional Bail Bond services here in Phoenix Arizona. Check out our client testimonials and see how we have lived up to our promise. Call us now and see for yourself – you won’t be disappointed. Alliance bail bonds is your number one choice for speed and efficiency in Phoenix, Arizona; we are the key to your release. Available 24 hours a day we are here to receive your calls – ANYTIME! Our fully bonded and licensed bail bond agents are dedicated to providing the most friendly and professional service. We recognize the emotions and fears that can surface at times like these. The bond process does not have to be scary, our friendly staff will gladly answer any questions you may have and help you through this stressful time. There is no question or concern too small. Call us and we will walk you through the bail bond process and can have the paperwork completed, in many cases, in under 30 minutes. Have your family member, friend or loved one on their way home to you – NOW! 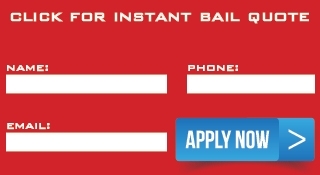 Bail Bond Services Any Day, Anytime.